Castle Honda is a hub of pre-owned vehicles of famous brands in Morton Grove, IL. The vehicles we have in our used inventory are certified by our dealership after due inspection by factory trained mechanics. The service history and thorough inspection reports are available that will boost your confidence in purchase of a used vehicle from Castle Honda. Not only a reliable used car but from Castle Honda, Morton Grove, IL customers also enjoy the perks of having warranties and pre-owned specials as they shop from us. 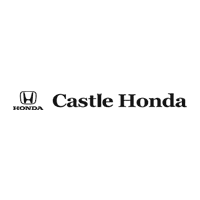 Castle Honda pre-owned specials are in form of warranties, cash-backs, reward points and service coupons. These pre-owned inventory specials are great in saving your hard earned money. Visit Castle Honda, Morton Grove, IL or keep checking the pre-owned specials online. These offers are on time rotation, keep in touch with Castle Honda and never miss the offers and incentives you always wanted to enjoy. Trustworthy and worry-free, this Used 2016 Honda CR-V EX makes room for the whole team and the equipment. This Honda CR-V has the following options: Wheels: 17 Alloy, Valet Function, Urethane Gear Shift Knob, Trip Computer, Transmission: Continuously Variable w/Sport Mode, Tailgate/Rear Door Lock Included w/Power Door Locks, Systems Monitor, Strut Front Suspension w/Coil Springs, Steel Spare Wheel, and Speed Sensitive Variable Intermittent Wipers. Carry all your passengers in luxurious comfort in this trustworthy and dependable Honda CR-V. Live a little - stop by Castle Honda located at 6900 West Dempster Street, Morton Grove, IL 60053 to make this car yours today! No haggle, no hassle. Trustworthy and worry-free, this Used 2017 Hyundai Elantra SE packs in your passengers and their bags with room to spare. This Hyundai Elantra features the following options: GRAY, PREMIUM CLOTH SEAT TRIM, ELECTRIC BLUE, Window Grid Antenna, Wheels: 15 Steel w/Covers, Variable intermittent wipers, Urethane Gear Shift Knob, Trunk Rear Cargo Access, Trip Computer, Transmission: 6-Speed Automatic w/SHIFTRONIC, and Torsion beam rear suspension w/coil springs. Transport everyone in luxurious comfort in this safe and reliable Hyundai Elantra. Test drive this must-see, must-drive, must-own beauty and get a hassle-free deal today at Castle Honda, 6900 West Dempster Street, Morton Grove, IL 60053. Sturdy and dependable, this Used 2017 Hyundai Sonata 2.4L packs in your passengers and their bags with room to spare. This Hyundai Sonata comes equipped with these options: LAKESIDE BLUE, GRAY, YES ESSENTIALS PREMIUM CLOTH SEATING SURFACES, Window Grid And Roof Mount Antenna, Wheels: 16 x 6.5J Aluminum Alloy, Valet Function, Urethane Gear Shift Knob, Trunk Rear Cargo Access, Trip Computer, Transmission: 6-Speed Automatic w/SHIFTRONIC -inc: OD lock-up torque converter, shift lock and SHIFTRONIC mode, and Transmission w/Driver Selectable Mode. Transport everyone in the comfort of every amenity in this sturdy and worry-free Hyundai Sonata. Test drive this must-see, must-drive, must-own beauty and get a hassle-free deal today at Castle Honda, 6900 West Dempster Street, Morton Grove, IL 60053. Tried-and-true, this Used 2017 Hyundai Elantra SE lets you cart everyone and everything you need in one vehicle. This Hyundai Elantra has the following options: QUARTZ WHITE PEARL, GRAY, PREMIUM CLOTH SEAT TRIM, Window Grid Antenna, Wheels: 15 Steel w/Covers, Variable intermittent wipers, Urethane Gear Shift Knob, Trunk Rear Cargo Access, Trip Computer, Transmission: 6-Speed Automatic w/SHIFTRONIC, and Torsion beam rear suspension w/coil springs. Pilot the whole group in comfort and style in this trustworthy and dependable Hyundai Elantra. Stop by Castle Honda located at 6900 West Dempster Street, Morton Grove, IL 60053 for a quick visit and a hassle-free deal! Come see this 2017 Hyundai Santa Fe Sport 2.4L while we still have it in stock! *Get Your Money's Worth for this Hyundai Santa Fe Sport with These Options *Wireless Streaming, Wheels: 17 x 7 Alloy, Variable Intermittent Wipers w/Heated Wiper Park, Urethane Gear Shift Knob, Trip Computer, Transmission: 6-Speed Automatic w/SHIFTRONIC -inc: lock-up torque converter and manual shift mode, Transmission w/Driver Selectable Mode, Tire Specific Low Tire Pressure Warning, Tailgate/Rear Door Lock Included w/Power Door Locks, Systems Monitor. *Shop with Confidence *Carfax reports: Carfax One-Owner Vehicle, No Accidents Reported. *Stop By Today *Come in for a quick visit at Castle Honda, 6900 West Dempster Street, Morton Grove, IL 60053 to claim your Hyundai Santa Fe Sport! This Ram ProMaster Cargo Van has a powerful Turbo Diesel I-4 3.0 L/183 engine powering this Automatic transmission. Only 23,888 Miles! 9 Carfax Service Records. WHEELS: 16 X 6.0 STEEL (STD), TRANSMISSION: 6-SPEED DUAL ACTIVE DRIVE, TIRES: LT225/75R16C BSW ALL SEASON (STD). *This Ram ProMaster Cargo Van Comes Equipped with These Options *QUICK ORDER PACKAGE 23A -inc: Engine: 3.0L I4 Eco Diesel, Transmission: 6-Speed Dual Active Drive , SPEED CONTROL, POWER FOLDING/HEATED MIRRORS, GRAY, CLOTH BUCKET SEATS, FRONT LICENSE PLATE BRACKET, ENGINE: 3.0L I4 ECO DIESEL -inc: 132kw Diesel Power Rating, 100 Amp Battery, 220 Amp Alternator, Diesel Engine Ignition Pre-Heat, Selective Catalytic Reduction (Urea), ENGINE BLOCK HEATER, BRIGHT WHITE CLEARCOAT, 220 AMP ALTERNATOR, Wheels w/Hub Covers. *Drive Your Ram ProMaster Cargo Van 1500 LOW RF 118 W With Confidence *According to Carfax's history report: No Accidents Reported, 9 Service Records. *Stop By Today *For a must-own Ram ProMaster Cargo Van come see us at Castle Honda, 6900 West Dempster Street, Morton Grove, IL 60053. Just minutes away! Snag a deal on this 2015 BMW 3 Series 335i xDrive before it's too late. Comfortable but agile, its tried-and-true Automatic transmission and its trusty Intercooled Turbo Premium Unleaded I-6 3.0 L/182 engine have lots of charm for a budget-friendly price. It is well equipped with the following options: Window Grid Diversity Antenna, Wheels: 18 x 8 Light Alloy Star-Spoke (Style 396), Wheels w/Silver Accents, Valet Function, Trunk Rear Cargo Access, Trip Computer, Transmission: 8-Speed STEPTRONIC Automatic, Transmission w/Driver Selectable Mode, Tracker System, and Tire Specific Low Tire Pressure Warning. You've done your research, so stop by Castle Honda at 6900 West Dempster Street, Morton Grove, IL 60053 today to get a deal that no one can beat! Win a bargain on this 2018 INFINITI QX60 4DR AWD before it's too late. Spacious but agile, its low maintenance Variable transmission and its dependable Premium Unleaded V-6 3.5 L/213 engine have lots of charm for a discount price. It has the following options: GRAPHITE, LEATHER-APPOINTED SEATS -inc: graphite weave interior trim, GRAPHITE SHADOW, [Z66] ACTIVATION DISCLAIMER, [S55] LITERATURE KIT, [L11] CARPETED FLOOR MATS (4-PIECE SET) -inc: 1st, 2nd and 3rd rows, Window Grid And Roof Mount Diversity Antenna, Wheels: 18 Triple 5-Spoke Aluminum-Alloy, Wheels w/Silver Accents, Valet Function, and Trunk/Hatch Auto-Latch. You've done your research, so stop by Castle Honda at 6900 West Dempster Street, Morton Grove, IL 60053 today to get a deal that no one can beat!